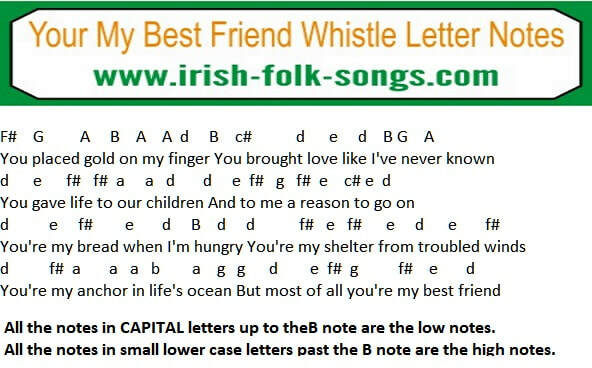 The tin whistle sheet music by Don Williams is in the key of D Major. This song will send your whistle to the limits as it goes up as far as the high b note. Consider putting a bit of Blu-tac over part of the sound hole to reduce the noise. The notes are suitable for flute and recorder.